Maureen Murnane is honored to accept the Chicago Association of Realtors top agent in Edgewater award. Dedicated to the highest standard of professionalism, Maureen's business acumen and creative perspective have helped her close over 62 million dollars in real estate sales. Maureen embraces the challenges associated with all types of property - from vintage and new single family homes to two-flats, multi-family buildings, condos, and townhomes. With extensive experience in relocation transactions, Maureen has helped both buyers and sellers here at home and from around the world find their ideal home. As an experienced writer, business development professional, communications director, home owner and renovator, Maureen Murnane has developed an effective skill set that helps elevate her clients' properties above the crowd. Today, sales are driven by accurate pricing, extraordinary preparation and staging, effective marketing, and diligent follow-up. Maureen's varied history helps bring fresh ideas to each and every client situation. 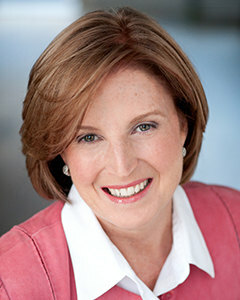 In 2011, during an extraordinary time of market transition, Maureen Murnane founded the NorthEdgeGroup which brings together 3 experienced agnets to focus their expertise on finding the best solution for the unique circumstances of every buyer and seller we are priviliged to represent. The members include, Jeff Graves who was named the top agent in Bowmanville/Lincoln Square, and India Tougne who is a second generation realtor, living in Lakewood Balmoral and an expert in Lincoln Park properties, and our public school system. Maureen Murnane has lived in Lincoln Park, Lakeview, Edgewater, and Lakewood Balmoral for 35 years. She specializes in all Edgewater neighborhoods, and has sold properties throughout the city. Every property will be shown by Maureen personally, or if back-up is needed, by an experienced team member who is familiar with the details of your home as well as the surrounding neighborhood ammenities. Together, these friends and colleagues offer a powerful brain trust to their clients. A 35 year resident of Lakewood Balmoral, Maureen is deeply involved in the community. Her two adult daughters went to a local grade school where she presided over the parents' organization and created after-school activities. She is the currently on the board of the Lakewood Balmoral Residents' Council, a supporter of the Griffin Theatre and sits on a committee of Friends of the Parks which is working to improve the quality and quantity in our lakefront park system. Maureen believes that strong communities are sustained by strong local relationships including political leaders, business partners, and book clubs! A successful real estate transaction requires many skills. It begins with an understanding of how the buyer perceives the value in a property, which is the first step towards positioning a home to achieve the highest price. Knowing how to create a supremely inviting atmosphere with the right preparation and staging, is essential to achieving her client's highest expectations. Maureen's calm, respectful but strategic approach keeps the energy positive throughout showings, contract discussions, inspections, appraisals and finally the closing! "Maureen was incredibly helpful in locating a wide range of properties for us to look at, advising us on details we hadn't considered, and helping us to weigh our options. This was the first time we had purchased a home in the Chicago market, so Maureen's network of providers for legal, mortgage, and inspection services was invaluable. Our search went quickly, and our purchase went smoothly, thanks to Maureen and her friendly professionalism."